Pillars, pedestals and columns intricately carved in Indian and European styles are attention grabbing architectural structures. The stone provides strength as well as the beauty to the structure. 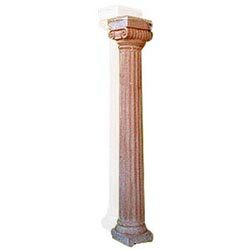 Use crafted stone pillars for that architectural perfection and beauty. 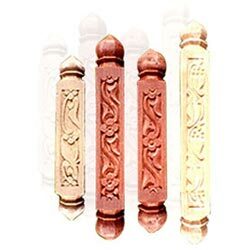 Decorative pillars have been excellently crafted for fencing needs. 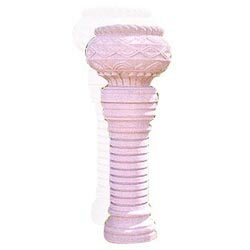 Dimension : Pillar=D-9" H-30" Vase=15"
Exquisitely crafted pedestal with broad mouth for it's versatile usability and royalty. 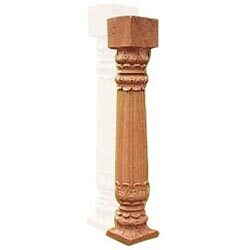 Pillars & Columns AB-SHP-0004 A single piece weight bearing column for your house is an amazing piece for arcitecture. 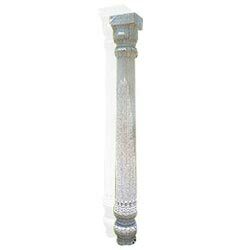 Finely crafted designs on both ends of this column will draw attention of all.